Google has compiled historical data from the 25 most frequented routes last Thanksgiving, Christmas, and New Year. They use this data to help you understand which days are generally the cheapest to book. Just pick your origin and destination, choose the dates you plan to travel, and you’ll see a chart of 2017 prices on specific days. 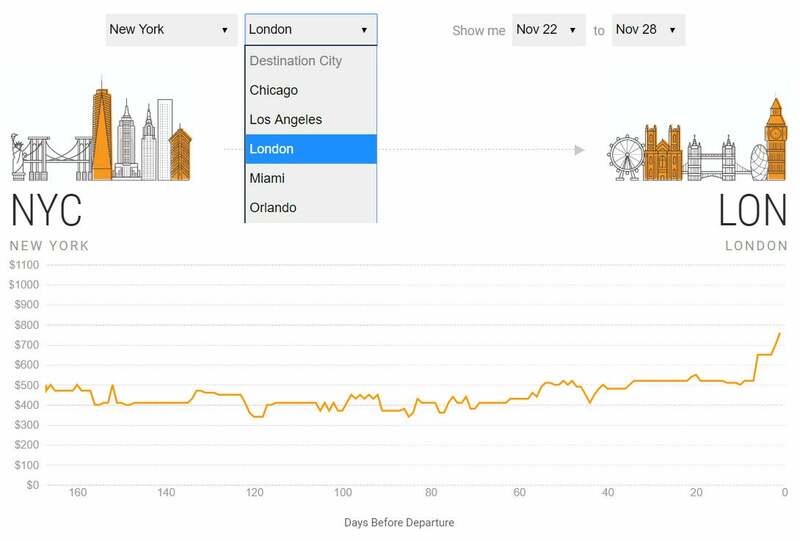 For example, if you want to fly from New York to London on November 22 and return on November 28, you’ll get a chart of the prices up to 165 days prior to Thanksgiving. Nobody’s promising the trends will be identical this year, but it’s still a handy tool. Available departure dates are between November 19 and November 23, 2018. And return dates are between November 25 and November 28, 2018. You can also see which cities usually offer discount hotel stays. If you’re searching Google Flights on your phone, you’ll be shown a graph below your search results indicating whether the prices you’ve found are historically reasonable. This feature isn’t restricted to certain cities. So it’s helpful for anyone in the US traveling for Thanksgiving. Just type in your origin airport, and the cheapest destinations will pop up! You can search whole continents at a time like this. And the results on the side of the page will indicate if you’re getting a better deal than usual. Very cool! 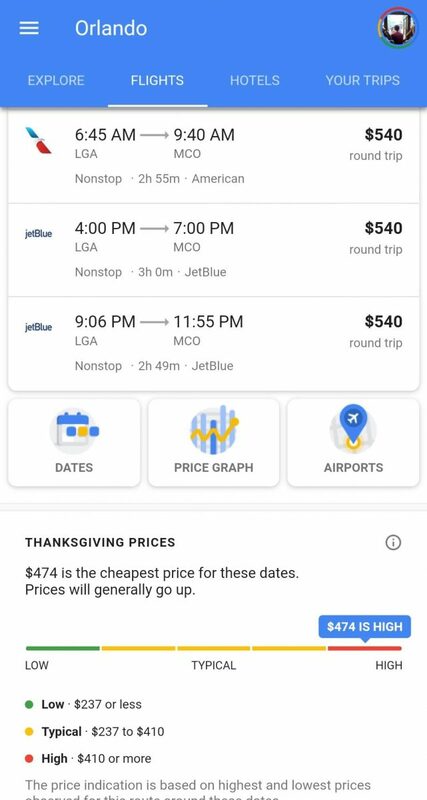 Google Maps is making extra effort to help you find cheap travel for the holidays. And every other day, for that matter. Let us know if these tools have helped you out! And if you’d rather just book your flights for (practically) free, check out our favorite travel cards and we’ll show you how easy it can be. To make sure you never miss valuable miles & points news, sign up for our email newsletter!